Thank you for considering Dat Dog for your request. 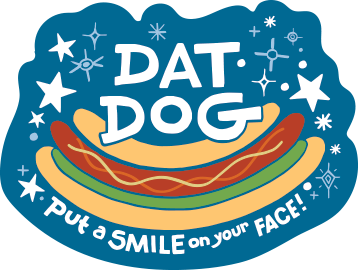 Dat Dog strives to give back to each community it resides in, in a number of ways. The four pillars we focus our charitable giving in are at-risk youth, diversity and inclusion, arts and culture, and no-kill pet shelters. Because of the great number of requests we receive, please allow at least 3-6 weeks prior to the date of your event and complete all fields so we can respond in a timely manner.